A. Simply return your items to Superette as normal. 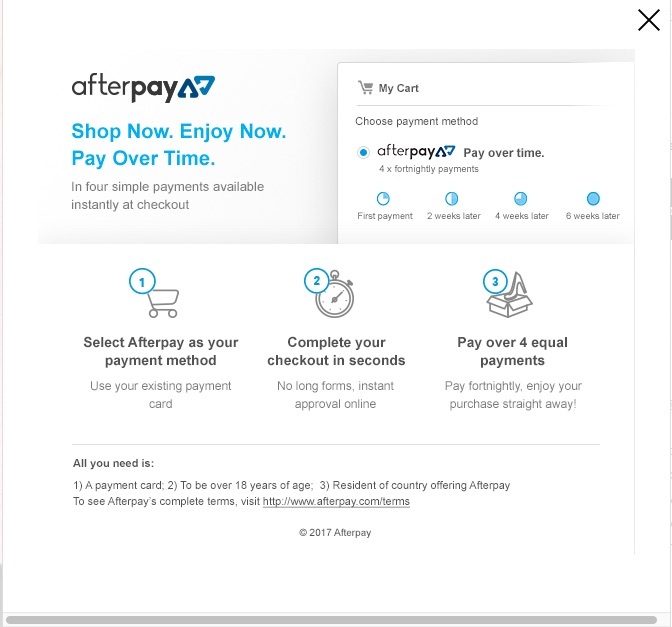 Our team will process the refund for your online order through the Afterpay platform and we will credit the funds to your nominated debit or credit card and adjust or cancel your payment schedule as necessary. A. Yes, you can, but please be aware, if you wish to return the item, all Sale items are only eligible for store credit. Superette therefore will credit you the full amount for your return, but you will need to continue to complete your Afterpay payments for the item for the duration of the 4 fortnightly payments. Q. What if the item is over $1000?